I’ve booked the whole of the barn. This barn is near Bakewell in the limestone dales area of the White Peak at GR SK184665. 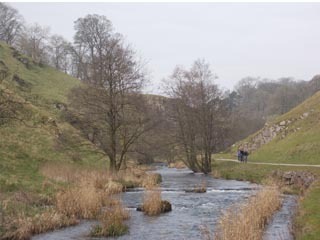 There is at least one very beautiful dale, the national nature reserve of Lathkill Dale, right on our doorstep and there’s lots of good walking and climbing in this region. The trip is currently fully booked, as with camping barns we have to secure the space early on given the high demand for such accommodation. If you are interested in being on the reserve list, or going on similar trips in future, please contact me. For info, the cost is around £20 each for the barn for the weekend.